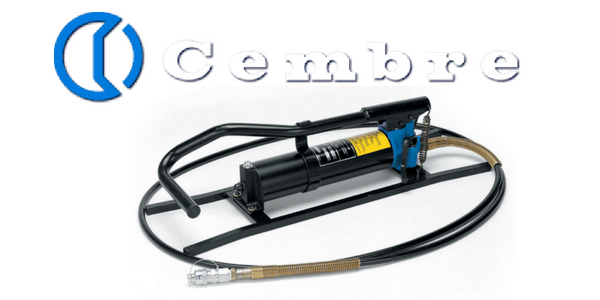 Cembre PO7000 pump is a foot operated double speed hydraulic pump developing a maximum pressure of 10,000 psi for installing cable crimps, lugs and connectors. 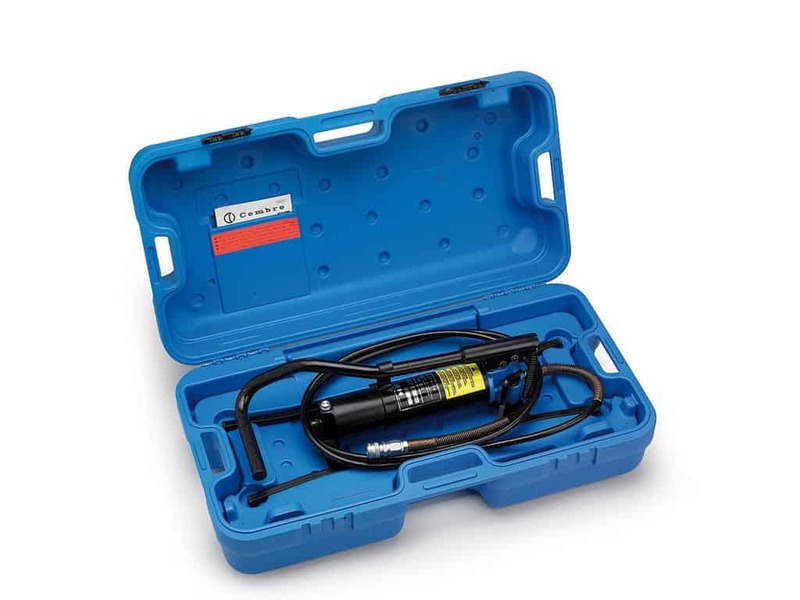 The PO7000 pump is supplied with 10 foot long high pressure flexible hose complete with an automatic, female, quick-coupler suitable for connection to a Cembre hydraulic crimping or cutting head. The flexible hose is designed for high-pressure operation and should not be tightly bent, knotted, kinked or squashed. 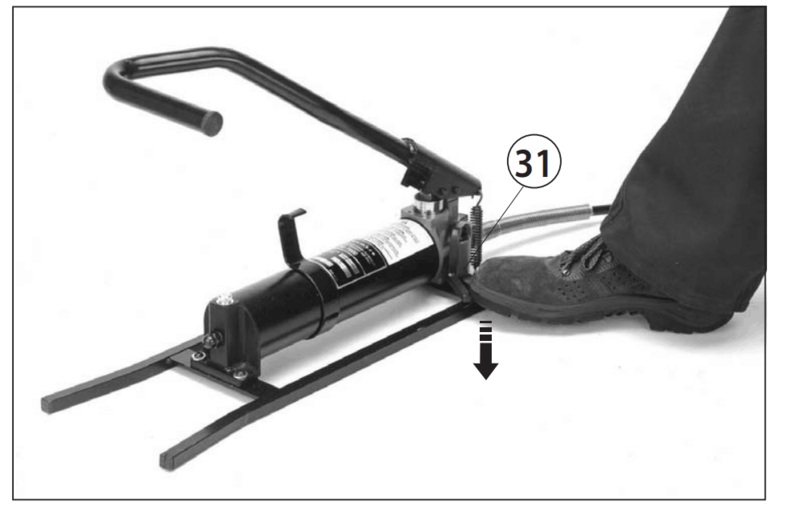 Note: High pressure flexible hoses are subject to a natural ageing process which can result in a reduction in performance potentially affecting safety of the operator and functionality of the hydraulic pump. In order to ensure safe use of the PO7000, Cembre recommends replacing the hose within 10 years from the date printed on the tool fittings. 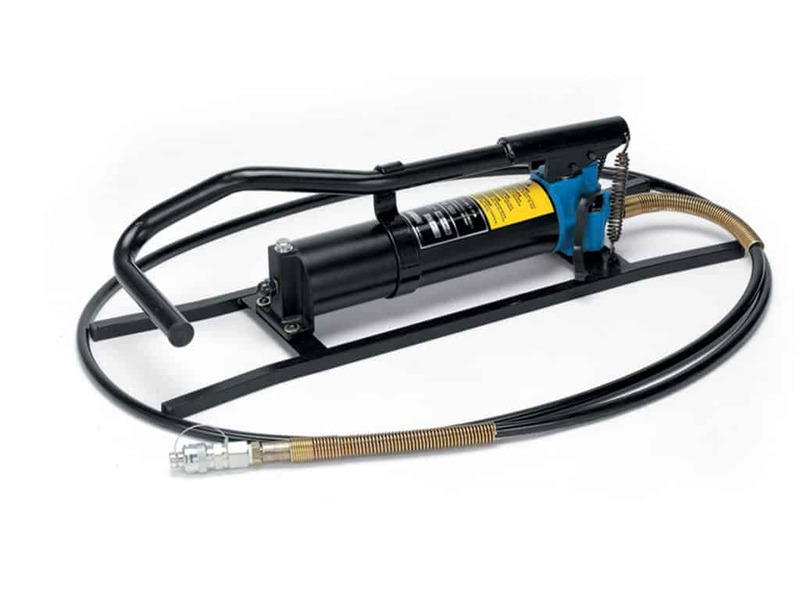 Pumps in the PO7000 range are supplied with a standard or non-conductive hose. Different hose lengths are available on request. A variety of hydraulic couplers are also available. 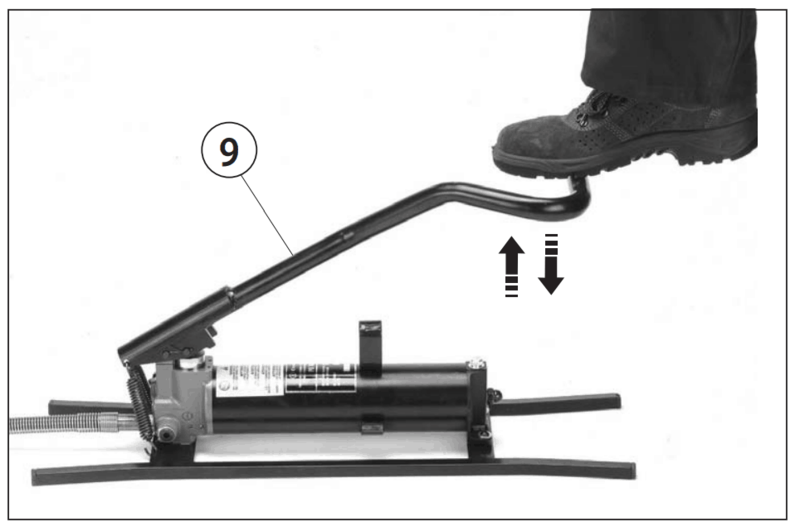 Pressure can be withdrawn at any time during operation by depressing the release lever. A solid shaped stand gives the PO7000 pump stability during operation foruse when jointing and termination of LV MV HV cables. The Cembre PO7000 has a two speed operation: the first is a low pressure for rapid approach with the ability to automatically switch to the second high pressure stage for cable crimping or cutting. The hydraulic pump is suitable for use with both Cembre hydraulic crimping tools and Cembre hydraulic cutting tools. ♦ For crimping heads it is recommended to continue pumping until the maximum pressure valve is actived and a “click” is heard. 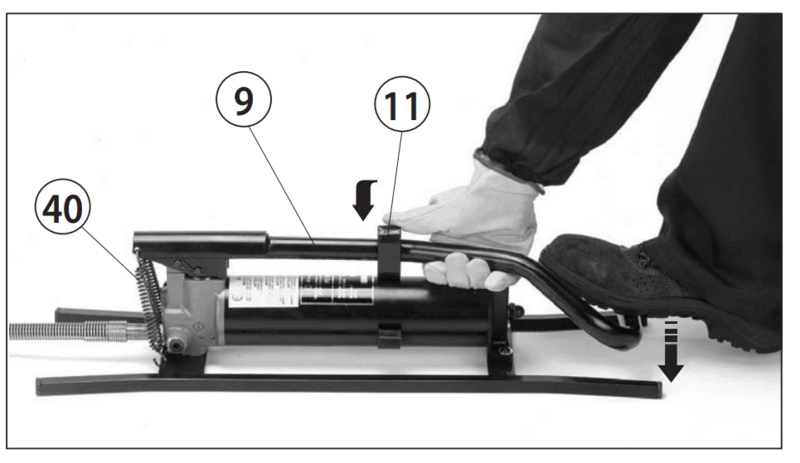 Problem: Foot pump builds up pressure, but the ram of the connected head doesn’t advance. Note: Always use clean recommended oil never old or recycled oil. 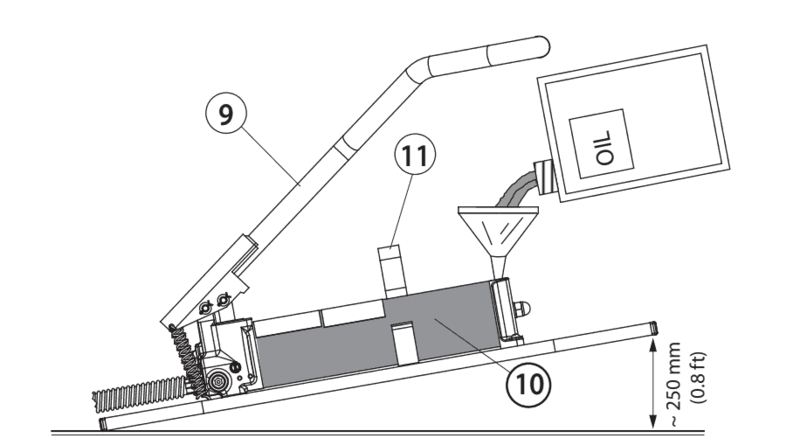 Do NOT use hydraulic brake fluid. Care should be taken when using and operating the Cembre PO7000 – some general advice is provided here however should you have any additional queries please do not hesitate to contact us.